It's easy to showcase your award to past and potential clients with these free, customizable, and printable certificates. Display your award in your place of business to impress potential clients and set you apart from your competition. 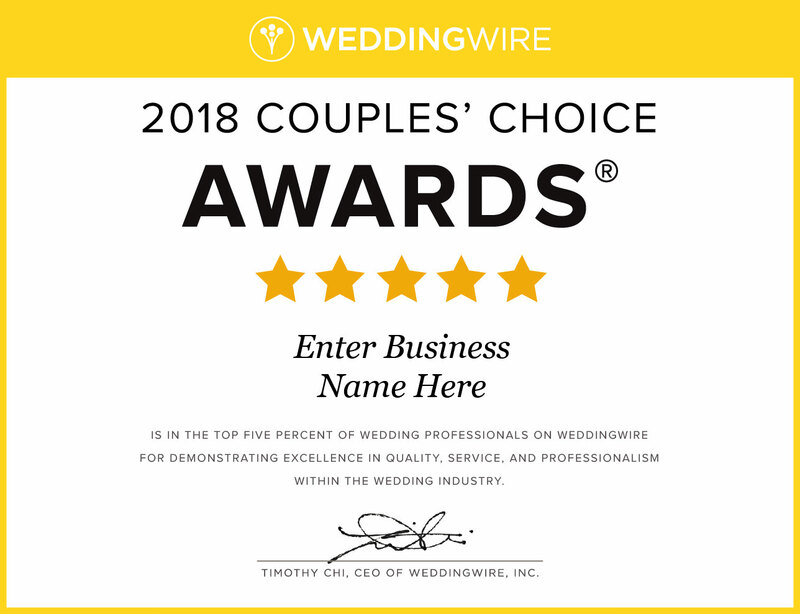 Remember, you will not be contacted by WeddingWire or our exclusive partner, Award.com, to purchase a plaque. There are no other authorized partners besides Award.com. If anyone calls you on the phone asking you to purchase a plaque, they are not authorized by WeddingWire. Refer to FAQs for more details. The stylish cherry finish award plaque can be personalized with your company name and/or logo. Your design will be laser engraved in shiny gold. The glossy black brass metal plate is mounted on a wood plaque with a cherry finish. The stylish silver and black award plaque can be personalized with your company name and/or logo. Your design will be laser engraved in shiny silver. The glossy black aluminum metal plate is mounted on a wood plaque with a matte black finish. The stylish crescent shaped acrylic award can be personalized with your company name and/or logo. Your design will be laser engraved on to the acrylic in white color. 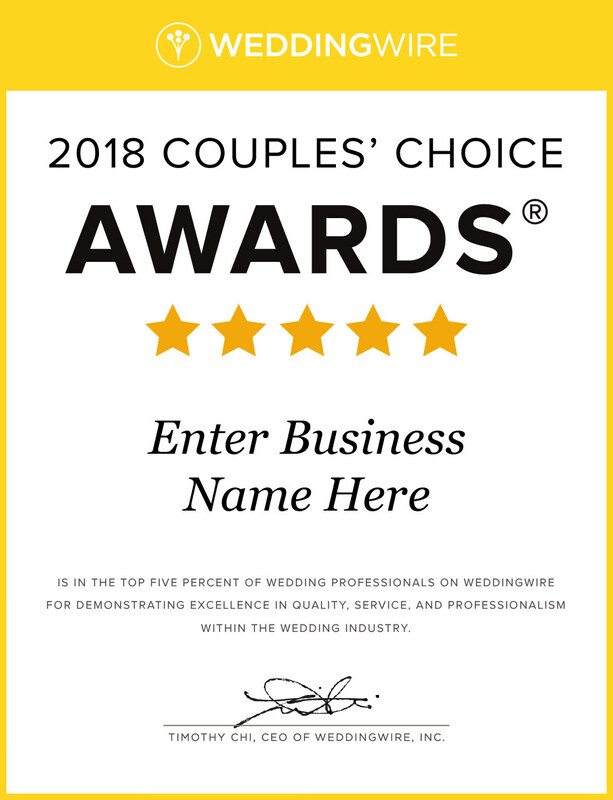 Award.com is our exclusive partner to provide your business with the 2018 Couples' Choice Awards® plaque.